We have gained a remarkable position in the market that is involved in offering Oval Shape Swimming Pool. Lyxar offer a first class design & construction service for all type of Oval Shaped Swimming Pools. We offer oval and true l shaped Long Oval Shaped Swimming Pools. 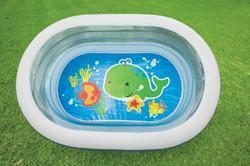 These oval shaped swimming pools starts from 175 sq. Feet to 2500 sq. Feet. 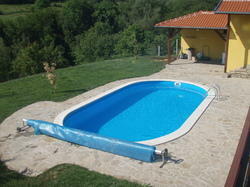 We are the manufacturer, supplier, dealer and importer of Readymade Swimming Pool. Our presented range of Oval Shaped Swimming Pools is broadly employed in the market for their durable nature.